Barry Allen aka Flash is a God amongst men. By tapping into the speed force he can do things physically impossible for an average human being. He has used his abilities to always do the right thing. But temptation is tempting, even for a God. It is not peculiar for even a God to embrace the dark side once in a while. 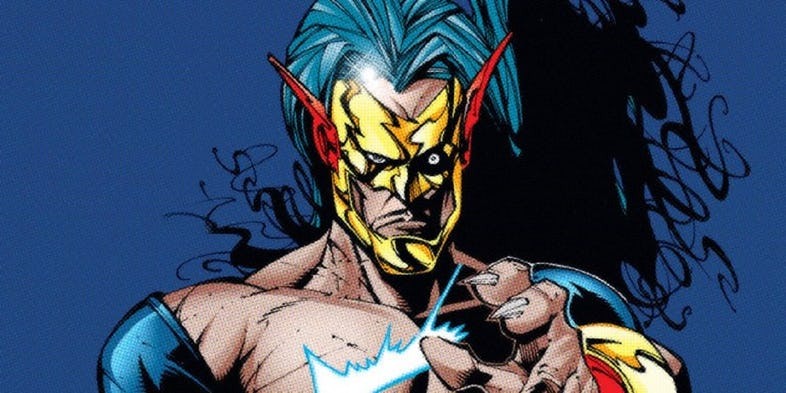 Savitar, in the comic books, is the leader of a cult that worships him as the God of Speed. When Barry Allen returns back to Earth after an eternity in the Speedforce, Savitar challenges him to a duel. 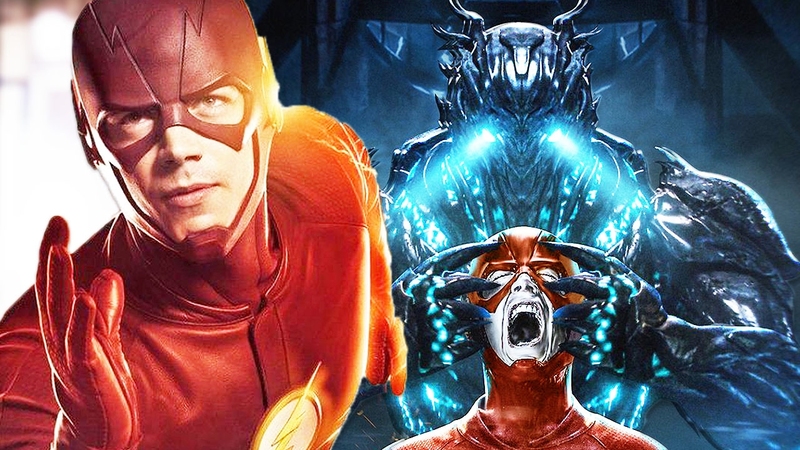 What Savitar never knew was Barry Allen is no longer the Flash but the Black Flash. And when the Black Flash touches other speedsters, they disintegrate. Savitar meets a gruesome fate. 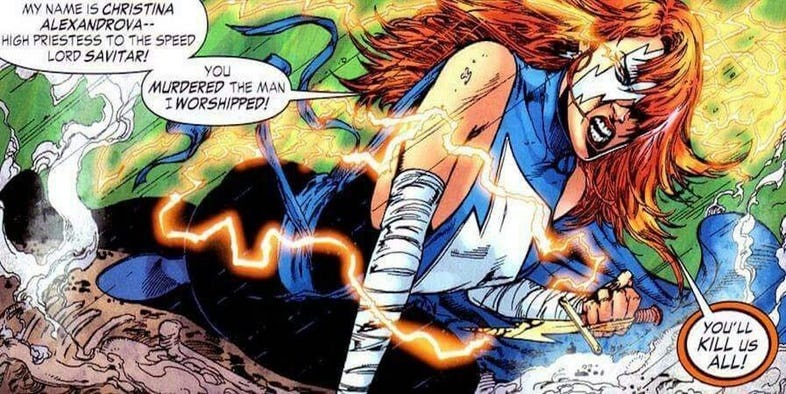 Christina was the high priestess of the cult that worshipped Savitar. When her God was killed by Barry Allen, she came to Central City to exact revenge. But if even the ‘God of Speed’ could not take him, what could is Christina? The woman faces a similar fate when Barry accidentally touches her with his negative speed force energy. 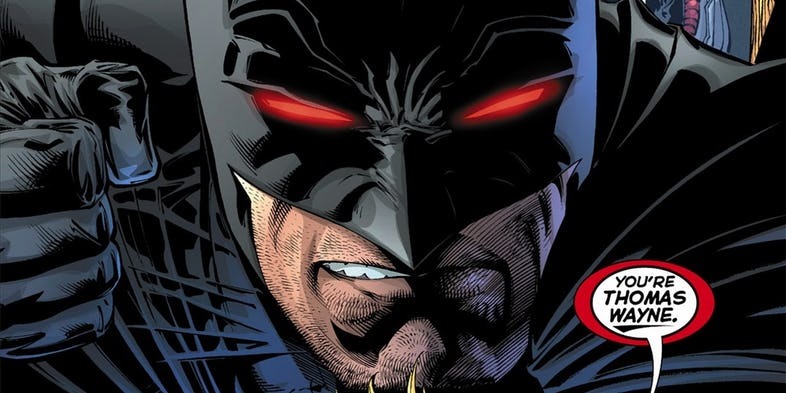 I think it is safe to say most of us know about Flashpoint. Dystopian future where Aquaman and Wonder Woman is enemies and Clark Kent never became Superman. One more thing that makes it stand out was the there is no Bruce Wayne in this timeline. When Flash races back in time to save his late mother, he creates the Flashpoint timeline – a timeline where it is Bruce who gets shot in the alley and his father Thomas Wayne becomes the Batman. When Darkseid decides to wreak havoc on Earth, it takes everything at the heroes’ arsenal to stop him. Wally and Barry come up with a plan. 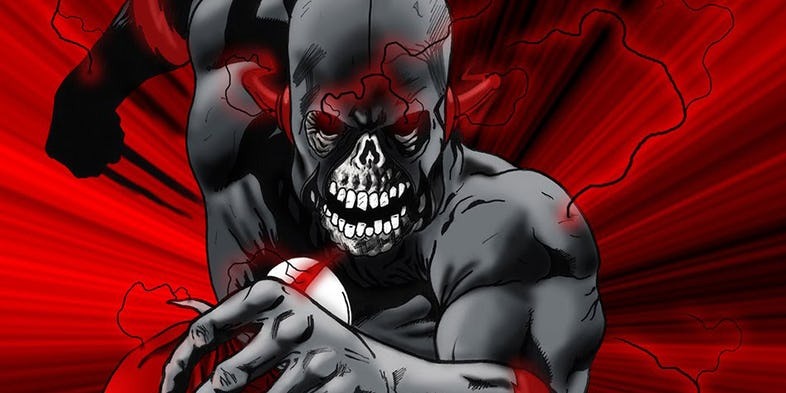 They will use the Black Flash as a bullet to kill Darkseid for good. The plan works but the strain of killing the God of Evil is too much for Black Flash. His lifeless husk is discovered later by Barry Allen. In a future timeline, Wally West dies and leaves Flash with an immense sense of regret. 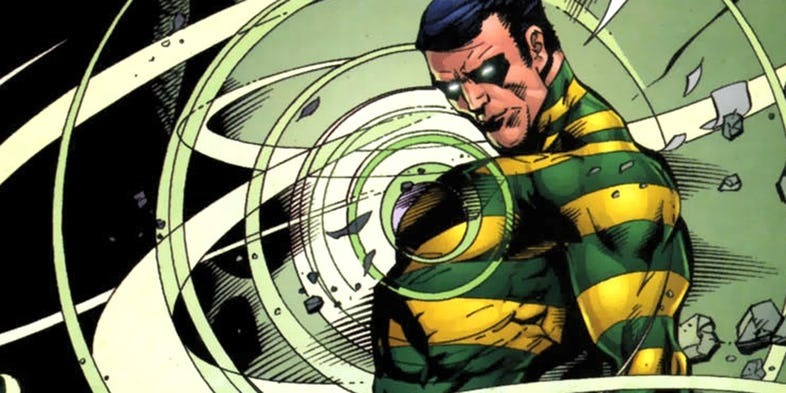 After a nervous breakdown turns Barry into a psychopath, he decides it is time for all the villains in his rogues’ gallery to die. He then runs to Gorilla City, challenges its ruler Grodd to a duel, almost loses to him but manages to plant a micro-bomb in his skull. The bomb detonates and kills Grodd. 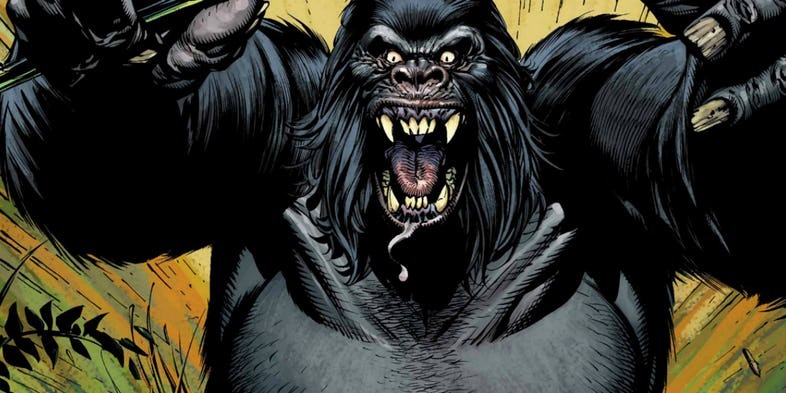 The Future psycho Flash’s killing spree did not end with Grodd. He then encounters Mirror Master who has held more than a dozen people hostage. 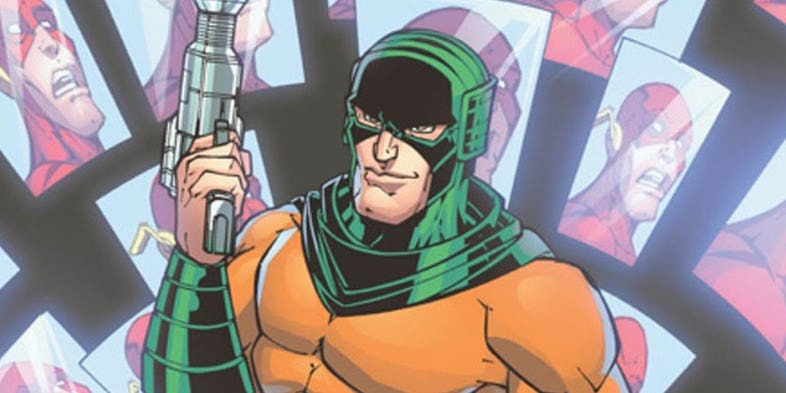 The Future Flash saves all the people from certain death but leaves a regretful mirror master to die in his mirror dimension as an earthquake shatters his only way to get back to the real world. The quirky H.R from season 3 was one of the very few things likable about that show last year. But when Savitar challenged Barry to stop him from killing Iris West, it was H.R that sacrificed the most. 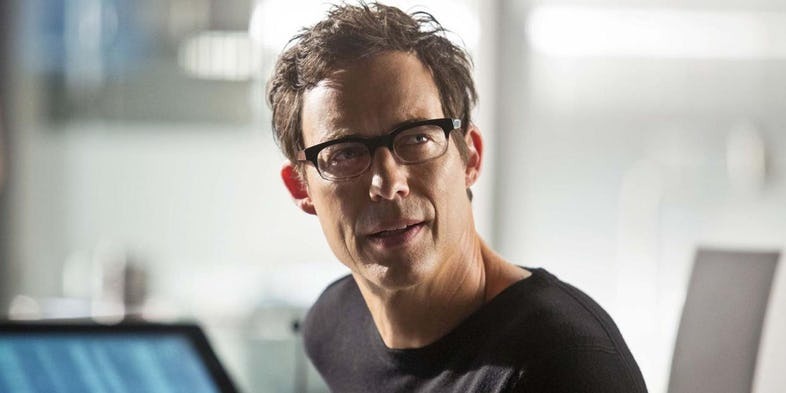 Using a face shaping technology, H.R disguises himself as Iris and is then killed by Savitar, who in turn is Barry Allen himself. What is even sadder is Team Flash never even seemed to respect H.R’s valiant sacrifice. In Injustice, Superman becomes a tyrant and Iris West his most vocal opponent. 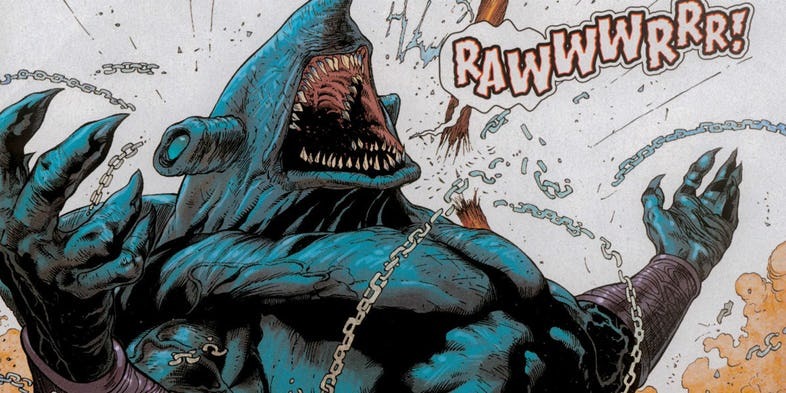 So Supes sends King Shark to deal with her. But the guy protecting Iris is none other than the Scarlet Speedster. He throws a broomstick at King Shark at super speed with the intention of stopping him. The broomstick ends up impaling his head and killing him. Although unintentional, The Top’s death is also quite brutal. The Flash’s connection with the speed force makes his body vibrate at a certain frequency. The Top’s brain cells are enhanced that give him superior intellect but it also makes him susceptible to those vibrations. After several encounters with Barry Allen, The Top’ brain finally gives out and he dies a slow, painful death. Reverse Flash was, is, and always will be Barry’s worst nightmare. The guy lives to make the Flash’s life hell. When Barry Allen is finally going to marry the love of his life, Reverse Flash crashes the Wedding with every intent of killing Barry’s fiancé. 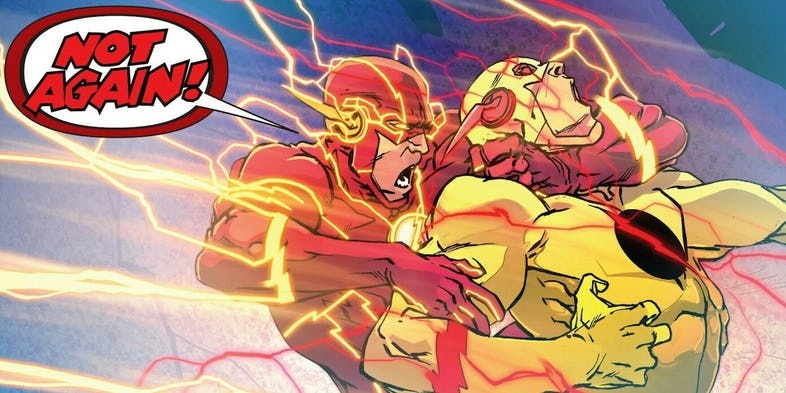 Having had enough of Thawne’s devious schemes, Barry grabs him by the neck and kills him in super speed. Events of Thawne’s death lead to the famous “Trial of the Flash” storyline.